Google recently released its search quality updates for March and the company’s 50 search-oriented changes made for a very busy month. SearchEngineLand.com compiled a list of the latest developments. Two of the most interesting results were in regard to how Google processes anchor text. The first described how the search engine turned off a specific classifier to strengthen scoring. The second explained a systems improvement that could help determine the relevancy of anchor text to certain searches. Regarding image search, one of the tweaks should deliver more highly relevant images even if those images are found on lower-quality pages. The other update should promote the reasonably sized search images that appear on higher-quality pages. Indexing symbols also received some attention as Google announced that they will start to include some popular punctuation symbols in search results and plan to add additional ones. These symbols include the dollar sign, plus sign, and percentage sign, among others. 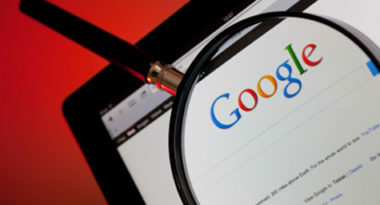 Google also made mention of changes to navigational queries, which are searches by users trying to reach specific websites. Since these searches can often present problems, an update has been made that should deliver more precise results. The other tweak involved searches that are both local and directed toward certain websites. That update should help deliver the most relevant search results toward the top of the page. These were just a few of the 50 March updates that inspired conversion and Google will certainly deliver more monthly updates to keep everyone on top of their evolution. To incorporate search engine optimization (SEO) in your digital marketing strategy, contact MDG Advertising today at 561-338-7797, or visit mdgadvertising.com. MDG Advertising, a full-service Florida advertising agency with offices in Boca Raton and New York, NY, specializes in developing targeted Internet marketing solutions, exceptional creative executions and solid branding and media buying strategies that give clients a competitive advantage. Our core capabilities include branding, logo design, digital marketing, media planning and buying, TV and radio advertising, customer relationship management, video marketing strategies, inbound marketing programs, Web design and development, email marketing, social media marketing, local search and SEO. View MDG Advertising’s creative marketing portfolio.